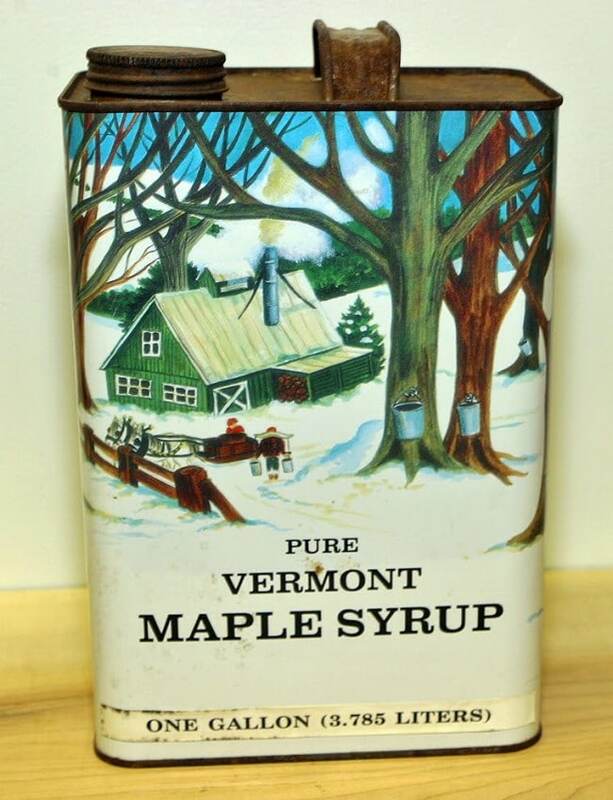 Since finding the vintage maple syrup tin, I’ve been looking around on etsy to see what other maple syrup containers are out there. And I found one seller who sells quite a bit of vintage maple syrup stuff – Sea Glass Primitives. Look at the fun graphics on these things! Or this one which is appealing to me in its simplicity. We can’t all be dressed to the nines. 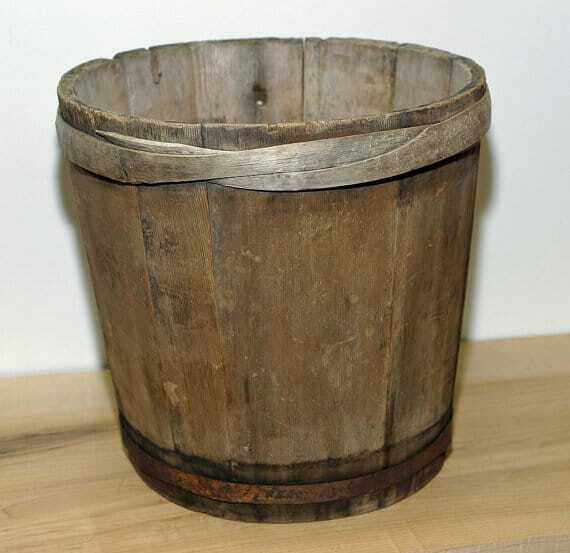 What about a wooden sap bucket? 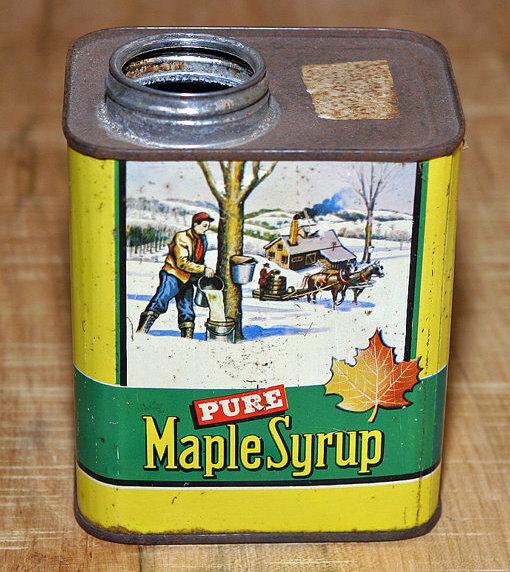 I’m sort of becoming addicted to maple syrup collectibles. 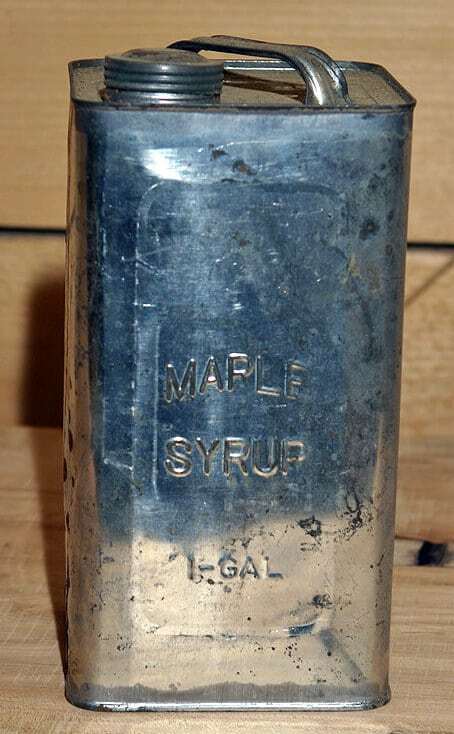 I’m even dreaming about syrup now. Maybe it has something to do with my sugar free diet? 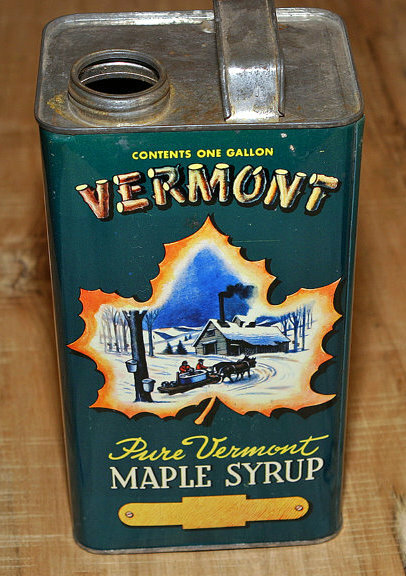 Jeff was nice enough to let me borrow the photos of his syrup items, so check him out if you are falling in love with this stuff as much as I am. In full disclosure, I do not know this guy, have never met this guy, just found his stuff and wanted to share the link to his site. I’m nice like that! 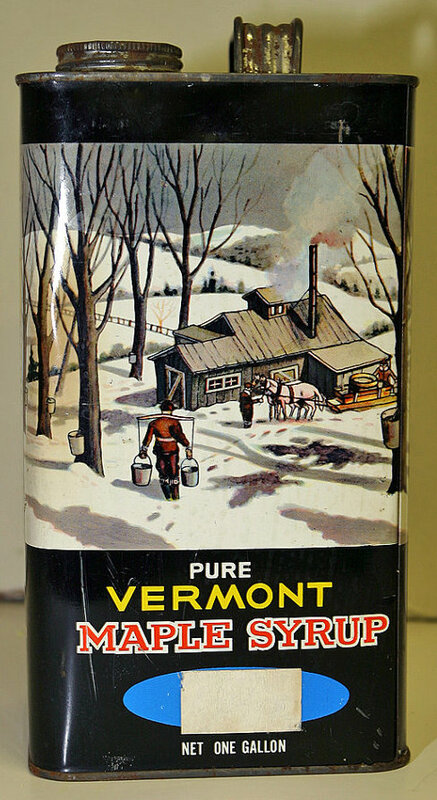 Aaahhh, Vermont…my home state! Great tins. LOVE each and every one of those tins. They are charming. Neat you were able to find so many pictured online. ENJOY your new hobby. Take care. It looks like you are hooked:) I make a great German pancake if you ever need something to pour that syrup on 🙂 The tins are really cool. An instant collection! Love the graphics on those tins. That sap bucket is pretty darn amazing too. Hey, come sign up for my giveway. I’m ready to have a Blogger get together, how about you. I am with you, I love the graphics on them! Very cute tins, and I love the sap bucket! Very fun stuff…the graphics are wonderful! the vintage cans are wonderful! Loving the bucket!! Such a fun collectible with the beautiful graphics. I think I might need to be watching for these from now on. Those are a great collection of tins Pam. Mmm…I would be dreaming of syrup too.